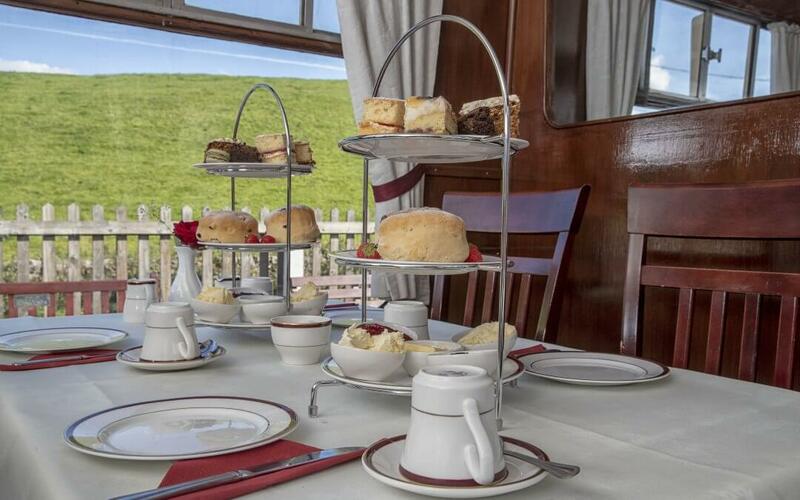 The Churnet Valley Railway in Staffordshire has a great group experience on offer thanks to its Staffordshire Cream Tea service, which gives customers a slice of the Moorland Dining Train action. The dedicated dining carriage ‘Diana’ is tastefully decorated and takes customers back to the 1930s, transporting them to a more romantic era of rail travel. Guests will enjoy freshly baked scones, a selection of cakes and unlimited tea or coffee as they journey on along the Churnet Valley. Tickets are priced at £28.50 per person and includes unlimited travel on the Churnet Valley Railway for the remainder of the day. Groups of 10 or more can enjoy a 10% discount. The dining cart can be hired exclusively for groups of up to 48 passengers.